With the best of intentions numerous green vegetables crowd the bins and shelves of my fridge, waiting patiently to be maneuvered into recipes. The lucky ones practically fly into the salad bowl. Feeling guilty, I wrack my brain thinking of what will be palatable, easy to prepare and digest, and then, eureka! 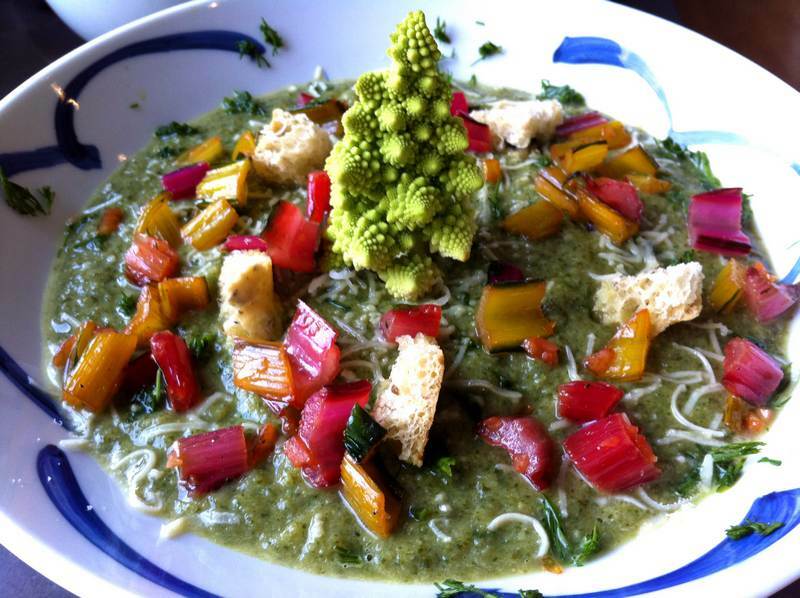 Green, Green, Green Soup went from imagined to real. 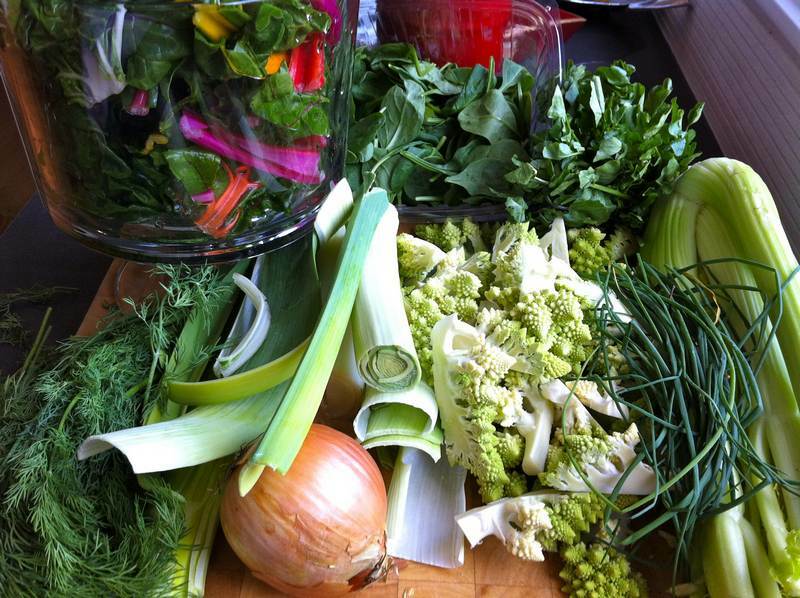 If chicken soup is a tonic and greens are the ultimate in heathy fare, imagine the boost you get from both combined. Heat olive oil in a large pot. Sweat the onion, leeks and celery, scallions, salt and pepper for 20 minutes, on low heat, with the cover on, stirring occasionally. Add cauliflower and chicken stock, covering and cooking approximately 15 minutes, until tender, before adding the chard and watercress stems. Cook 5-10 more minutes, then add the spinach and watercress. Just 5 minutes later – done. Blend in a blender or using a hand held blender. Garnish each bowl with dill, croutons and cheese of your choice. This recipe is totally open to being prepared with whatever greens you have lurking in your fridge. If you make a big batch it can be frozen in small portions and brought along in your lunch bag as your ice-pack. Not only did you cleanse your fridge of all your well intentioned greens, but you managed to extend their nutritional value over a longer period of time. If you used rainbow chard you can stir fry the chopped stems in a little olive oil, salt and pepper, using them to decorate the soup. Otherwise add the chopped chard stems together with the chard leaves. The soup tasted good fully loaded with all the options or velvety smooth with just a little cheddar. 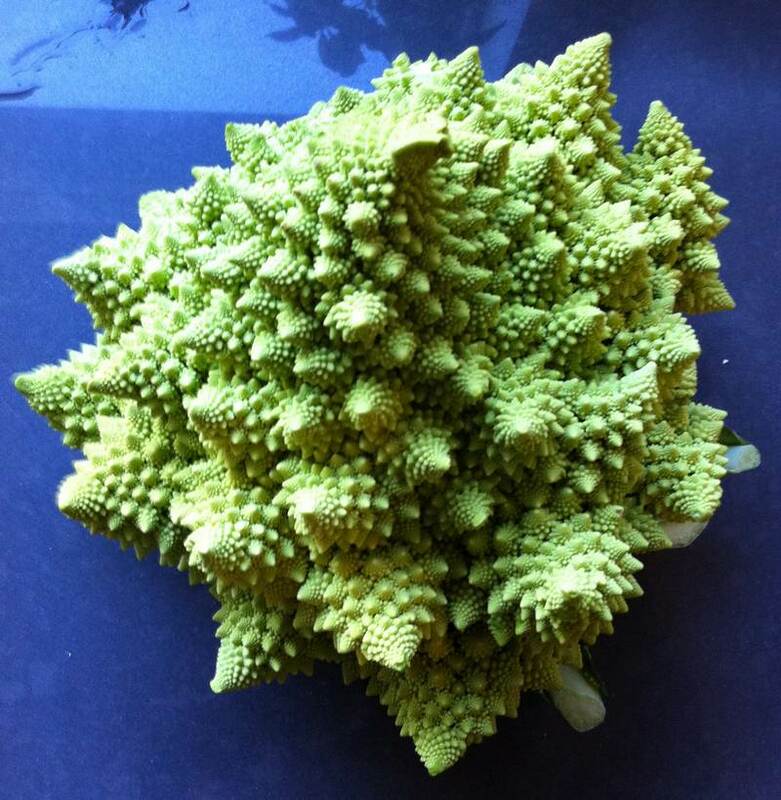 Romanesco goes a long way. One giant head is enough for 3 recipes. From raw in an appetizer platter, to cooked in a soup, to served baked or roasted au gratin. The World’s Heathiest Foods site is full of information on nutrition. In the October issue of Eating Well magazine there is an article and recipes on green soup. I can lend you the magazine or you can look up the author who is Anna Thomas (http://www.vegetarianepicure.com/). She currently has a new book out called Love Soup in which the green soup prevails. 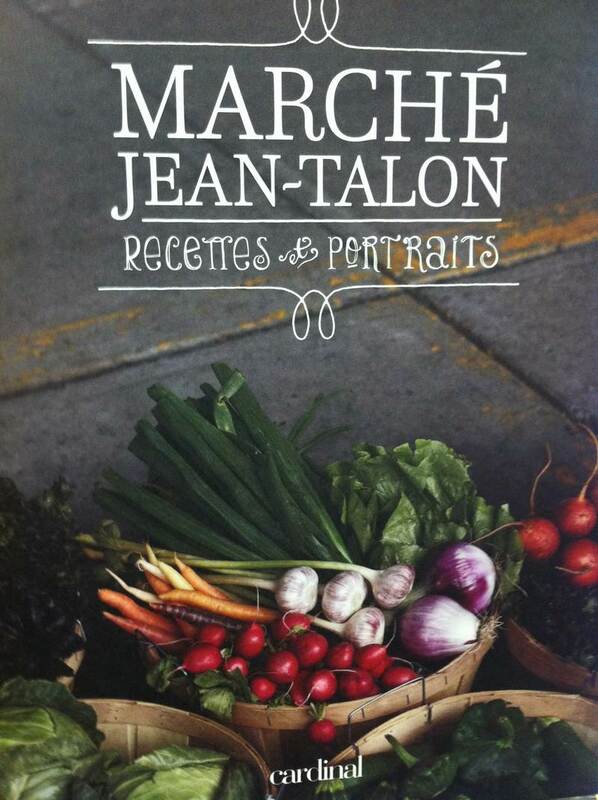 You can never really have too many cookbooks so put this one on your Christmas list. Answers:1) I do know the J.C.
2) I know the J.C. because Adrianne is my beautiful niece! 3) The J.C. is really not jittery, she is confident and a natural in the kitchen! But she would have us believe otherwise. Anyone who has eaten her food will agree with me! Yum! 4) I would like the jittery cook to offer more pasta recipes, even god forbid a meat???? recipe. Enough with the healthy vegetables already! I do know the jittery cook (Holly), met you at a cooking show at Mimi’s. We cooked together..go figure! I think you are a natural in the kitchen and a foodie at heart which is why our relationship blossomed…I am the Pampered chef queen and you are a fan! I think the jittery is all in your head! I would love for you to blog on a 30 minute meal that would please the entire family (including picky eaters). I talk about you at all my cooking shows and I hope that you are getting all types of readers. I am enjoying this blog as I can almost see you talking when I read it.